I wasn't expecting much when I purchased the Karrimor Excel from a Sportsdirect store out of desperation. 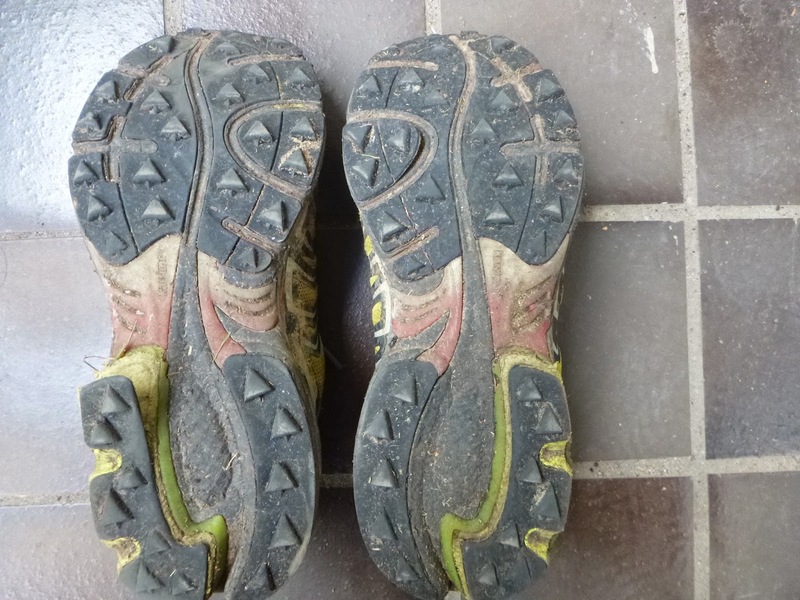 I had no suitable shoes leading up to Buffalo Stampede and was pleasantly surprised by the fit & cushioning of the Karrimor Excel when I tried them on. I'm still putting this entry up because after some minor tweaks to the shoes I did feel confident they would bring me through Buffalo & Macedon - both pretty gruelling trail events.. and they did. First Impressions - when I still in the store, studying the material used I wasn't expecting these shoes to last very long - the laces were of poor quality & were too elastic to be effective. however it had a wide heel base which I liked & once again, it just felt very cushiony & comfy (more than the Salomons & Hokas). The fit was good for my wide feet as well so I couldn't ask for more given they were also retailed at less than MYR200 (~ AUD70). I knew I had to modify the laces & it could potentially work OK. 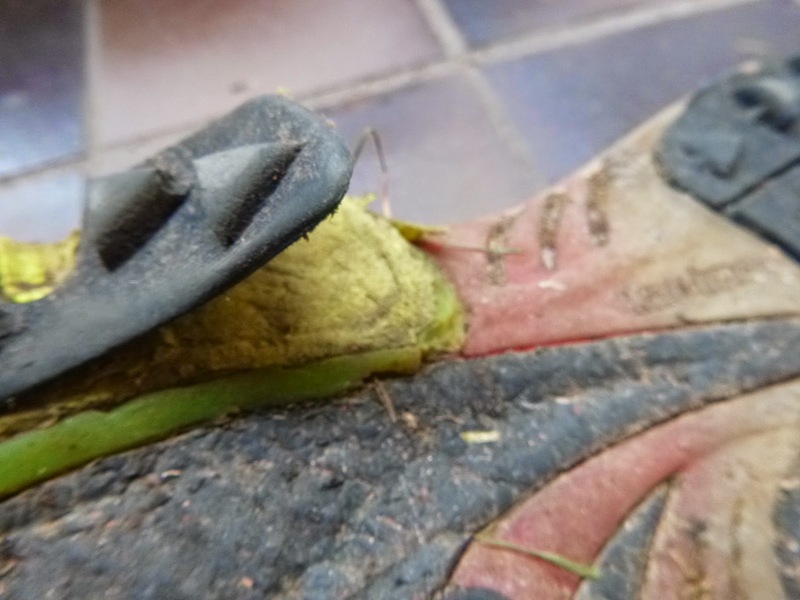 The sole design & material is grippy in muddy conditions & cushiony - but is quick to wear & tear - see following pics. 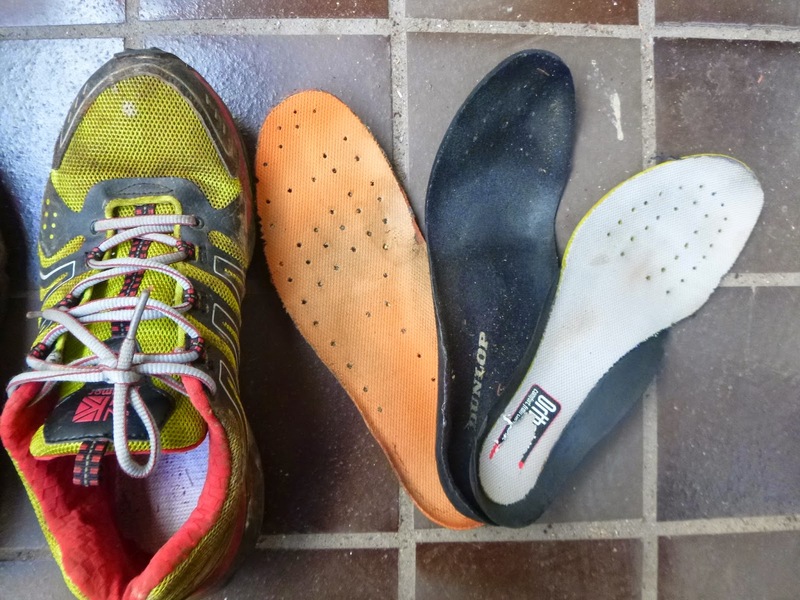 Cushioning was pretty normal to start with, training in them it wasn't long before I had to add extra soles to provide the cushioning I wanted..
All in all - I would recommend these shoes if you're after a low-budget trail shoe & especially if you're a wide-feet like me. These shoes while not perfect are pretty comfortable. I think its inevitable the laces need replacement. 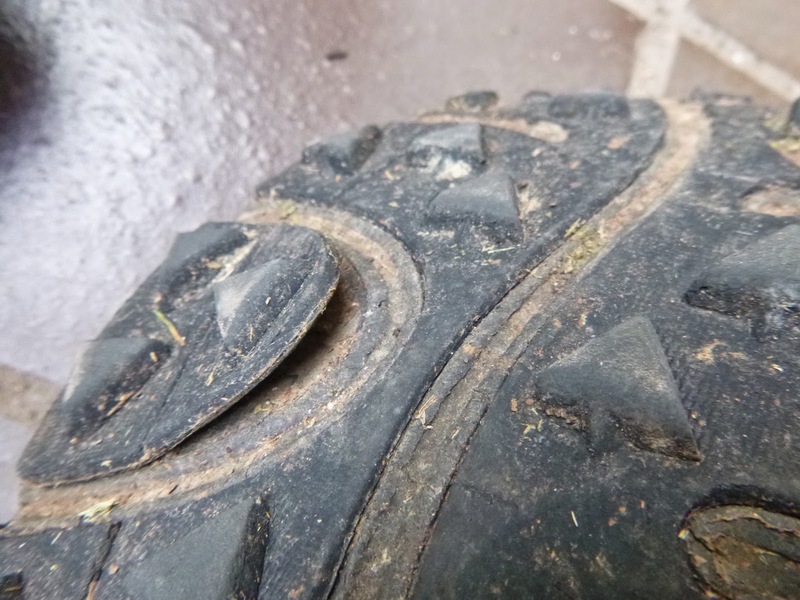 The sole design works well in muddy wet conditions - they don't retain mud cakes too easily either. 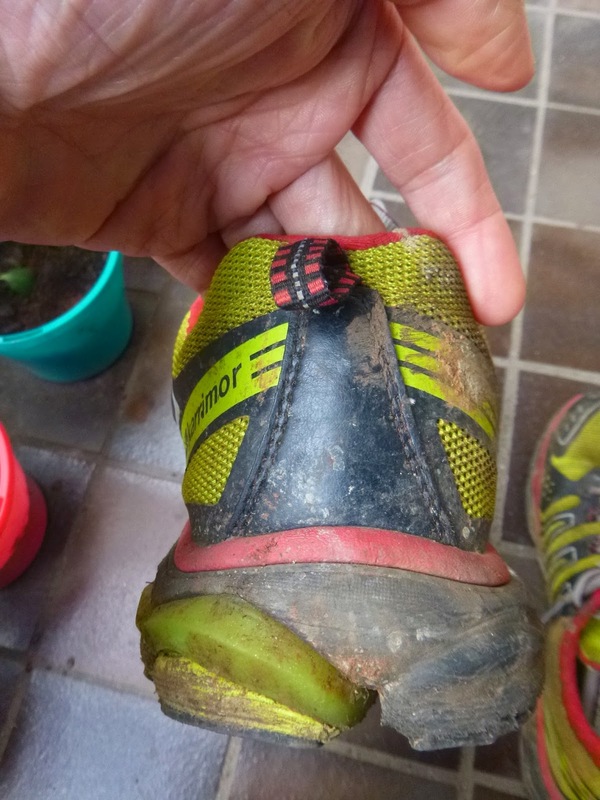 They would last a bit longer too if you're not doing technical trails all the time but don't expect them to last quite as long as the bigger brands eg. Salomon & Hokas.